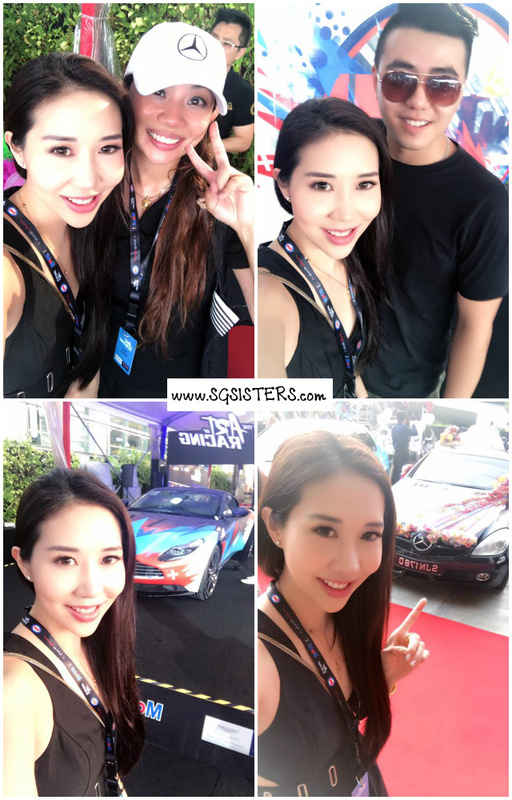 13 Sept 2017 - EXXONMOBILE F1 Singapore 2017 - Here are some photos I took during the F1 Singapore event organized by the Sports Car Club Singapore. It was really exciting as I managed to meet Daniel Ricciardo up close and personal. 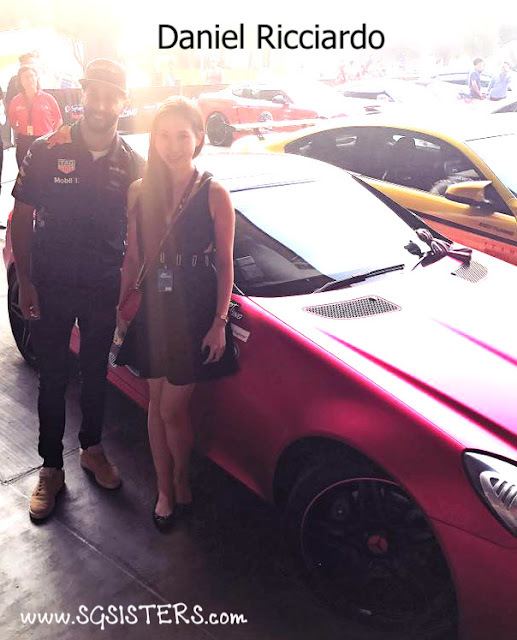 He was really friendly and we took photo together with my pink Mercedes-Benz SLK Convertible car which I drove. Daniel Ricciardo thinks my pink car is pretty cool too! 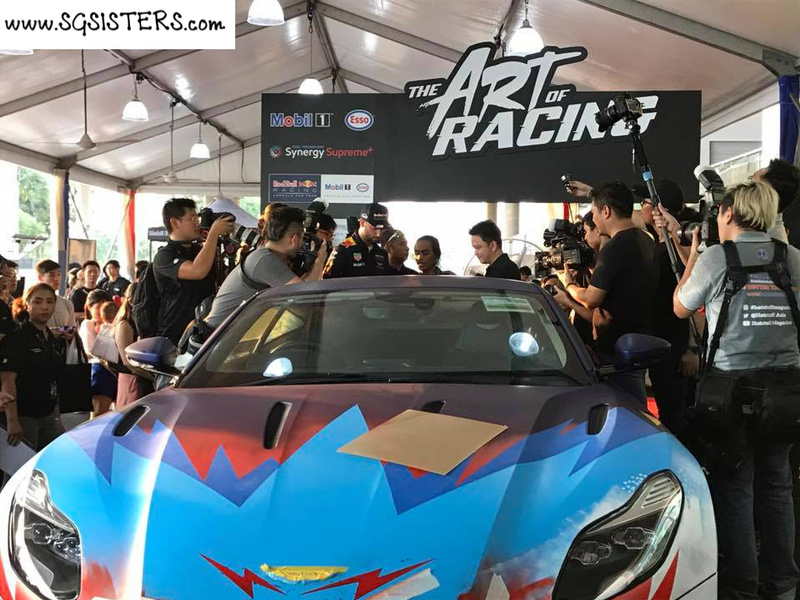 My car had been decorated with many customized car decal just for this special event. 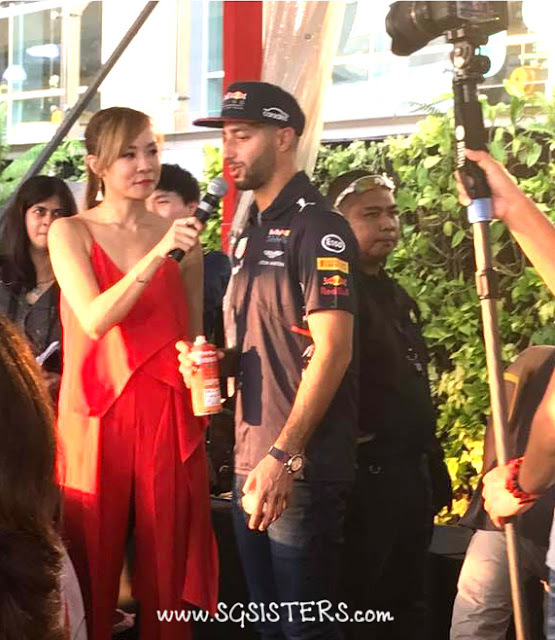 F1 Singapore 2017 Results - Lewis Hamilton won this year's Singapore Grand Prix with his outstanding performance despite the rain while Daniel Ricciardo came in second place. It was unfortunate for Sebastian Vettel who crashed out on the first lap. Due to the rain, only 12 drivers finished the race. Congratulations to the winners!